No matter what business you’re in, people buy based on feelings. And they decide whom to do business with based on feelings. 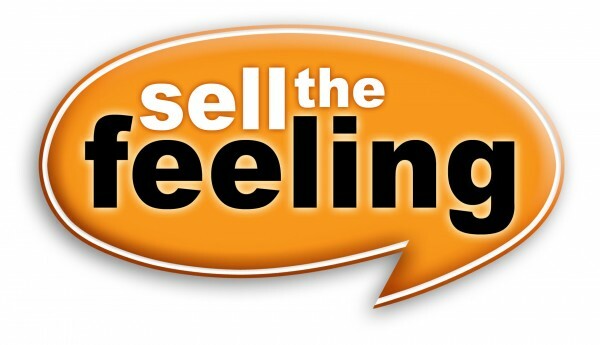 Sell the Feeling is a 6-step sales process that evokes the feelings that drive people to do business with you. The Sell the Feeling system is structured process for moving through the sale—from start to closing—in a way that systematically creates rapport, uncovers needs, builds excitement, and lets you know where you are with your buyer every step of the way. It is designed for use in any business, from mom-and-pop retail sales to high-end sophisticated services. “What a phenomenal system! Sell the Feeling is a MUST for any individual or organization seeking to improve their sales and client relationships. In the first year after introducing the system, we grew our gross sales 35%–in a down market! Our individual mortgage loan officers who use the system religiously have increased their sales between 40% and over 200%. Don’t miss this book.” –Brett Dillenberg, Managing Partner, RPM Mortgage, Inc. See more testimonials for Sell the Feeling. In 2007 I wrote the book, Sell the Feeling: The 6-Step System that Drives People to Do Business with You, with my business partner and fellow-coach, Larry Pinci. Sadly, Larry passed away in 2011. The book is available through the major online booksellers (paperback, Kindle, and Nook) and through the iTunes store. In 2013, I created an updated version called The Sell the Feeling Home Study Program. This program is a self-paced, personalized audio program that shows you how to sell the feeling in your particular business. I incorporate the Sell the Feeling principles and techniques in my sales coaching and corporate sales training programs.